Unlike traditional hardwood, bamboo can be harvested every year without destroying the plantation, with the bamboo stems sprouting new shoots during the next rains. Bamboo can grow to its full maturity in four to six years while it takes a tree decades or even hundreds of years. 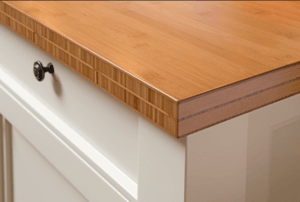 Bamboo plywood is made of fine layers of bamboo strips laid in parallel order and kiln dried, sanded smooth and then laminated edge to edge to create a single-ply panel. These panels are then laminated again to each other to create multi-ply bamboo plywood free of formaldehyde emissions. The multi layers are cross-laminated and heat pressed together to provide stability and prevent warping, making bamboo ply 3-4 times more dimensionally stable then Oak. 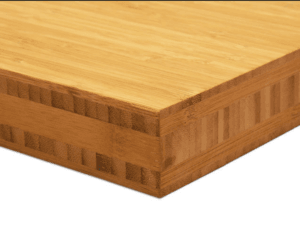 Bamboo plywood can be cut, sanded, nailed, screwed and plugged using conventional woodworking equipment and also offers excellent dimensional stability. Bamboo ply additionally scores over hardwood in size options with Plywood & Plastics offering massive sheet sizes of 2440 x 1220mm in thicknesses from 0.6mm up to 40mm. Bamboo ply from Plywood & Plastics is a great replacement for any hardwood plywood product in an interior design project.